After their umpteenth defeat at Lucky Luke's hands, the Dalton brothers get into a big argument that ends with the four of them splitting up. They make a deal: Whoever is first to get a million dollars will be the leader of the gang. 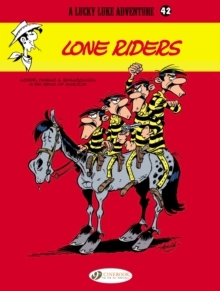 Going their separate ways, trying various schemes, each spreads his own kind of mayhem, forcing poor Lucky Luke to do four times the work to keep up with their antics!